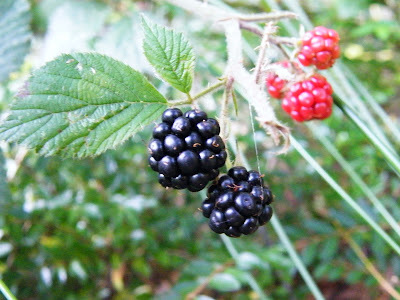 These are bramberries. They are lovely fruits found in abundance and also sold in supermarkets. Since they are highly perishable, they are not that cheap either. 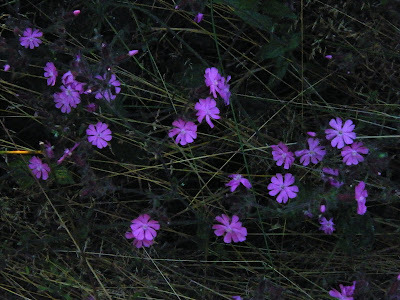 However, in the wild, they are mostly considered as 'weeds'. I think this is because they have long thorny vines that take over your land quickly. They are so robust that your other garden shrubs would die in competition with them. This is a blueberry plant. 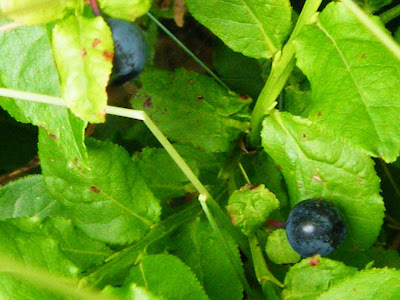 They are low shrubs and bear these blueberries which are very good for taking out the toxicity in your guts. 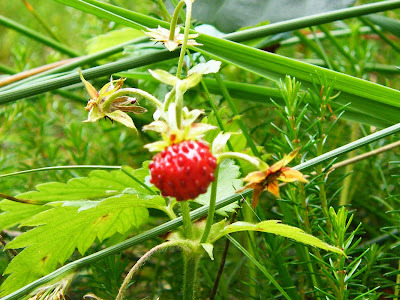 We had those in the garden bearing lots of fruits when we first moved in. It was a wild garden. Then as we organised the garden and shifted it to a discreet shaded corner, they bear less fruits. They like their natural spot to grow. 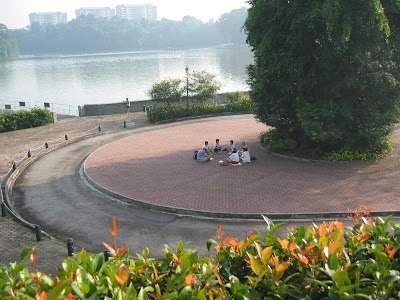 In a prominent spot, we treated them as 'weeds', and that's why had them shifted. 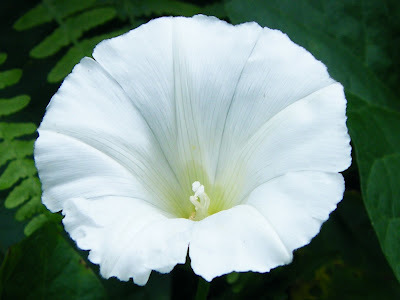 These are morning glory flowers. 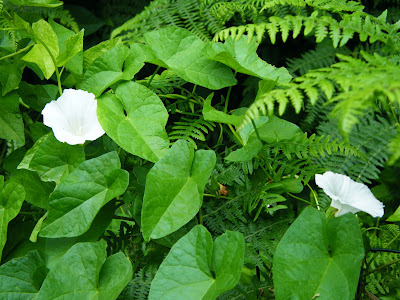 Lovely flowers, but as they are such robust plants they can take over the undergrowth of the forest too. 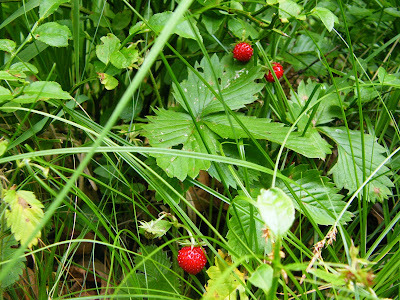 These are wild strawberries. They are about 1cm in diameter on average, but very fragrant and sweet. More so that their cultivated cousins. They grow together with grass. Actually in Chinese, strawberries are called, "grass berries". So, they can easily be seen as weeds, until you see them bearing those delicious fruits.
. These are tiny flourescent flowers I found while taking a walk in the woods. Don't what their name is, but they look lovely to me and therefore, I won't consider them as 'weeds'. Yet, I don't see them being cultivated in standard gardens.